Champaign Park District provides two locations for 50 Plus! programs, Hays Recreation Center and Douglass Annex. Join our 50 Plus! Program to socialize, adventure, and learn! Membership runs May 1 – April 30 each year. Individuals aged 50+ living in Champaign-Urbana join for an annual fee of $20. Those outside of Champaign­-Urbana pay $30. Non-members are always welcome to participate at the non-member (NM) fee, varies per program. 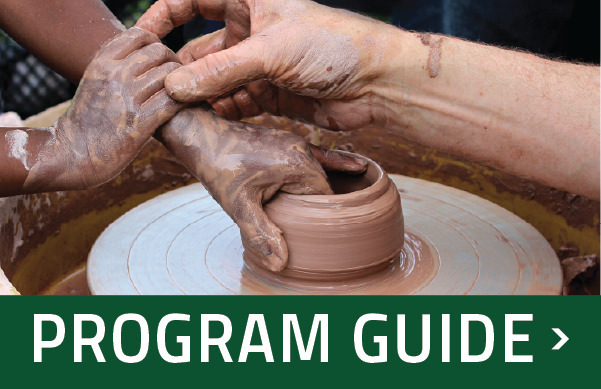 Discounted rates on programs listed in the 50 Plus! section of the Champaign Park District Program Guide. Admission to play Cards & Games, Bridge Group, Bunco, Trivia, Wii, Chair Exercises, and Munchies at Hays Recreation Center. Non-members will be charged $3 per visit. Admission to Billiards, Cardio Workouts, Chair Exercises, Computers 101, Quilting, Coffee & Coloring, and Wii at Douglass Annex. Non-members will be charges $3 per visit. The opportunity to voice opinions at the 50 Plus! monthly meeting at Douglass Annex. Members receive 24 hours to register for yearly 50 Plus! trip before non-members. Fresh coffee made every morning. Area to play cards or gather when space is available. Access to a computer lab based around class or appointment schedule. Hays Potluck every Thursday. If you do not bring a dish to share, then the cost is $4. Bingo; bring a gift to donate (Every Friday at Douglass Annex and every other at Hays). Please submit your dues to the front desk at The Douglass Community Center, Douglass Annex, Hays Recreation Center or any other Park District facility starting Friday, May 1st. Your name will be kept in our computer records so that you can receive the special discounts and fee waivers that are only available to members; membership is non-transferable to other individuals. Remember to include the exciting Champaign Park District 50 Plus! programs when you start penciling in events on your calendar! Check out all of our Winter/Spring 2019 programs! Bring in your lunch and join us for a roundtable discussion, we will provide the dessert. We will have special guest speakers or discuss current topics. Do not miss out on great conversation! Start off your weekend with fun people and a game of bingo. Bring a prize and enjoy a Friday afternoon! Start your week off right at this informal bridge club. Bridge is not only a social game, but a great way to challenge yourself and have lots of fun. Come alone or with a partner and let the card shuffling begin! Fee (M | NM): Free! Yes, this dice game from the past is back! Whether you remember your grandmother’s Bunco Club from your childhood or you’ve never played the game but want to try something different, sign up for our Bunco party. We’ll have fun prizes! Join us for delicious burgers all around town. Mix it up! We’ll try different styles from the original steak burger to complex gourmet burgers. Call 217-398-2572 to sign up. Meet at restaurant. Health is the new wealth, and we want all our 50 Plus! participants to be rich beyond their needs; so do not miss out on the cardio workouts. There will be a mix between video and instructed classes. Don’t want to sweat? Don’t worry, go at your own pace, and still enjoy a great workout! Whether you like playing Euchre, Skip-Bo or Trivial Pursuit, Cards and Games is the perfect way to spend your afternoon at the Hays Center. These exercise sessions focus on providing you with a great workout all while in a chair. Your workout options are stretch and strength, core fitness, and yoga. No matter your preference, you are sure to burn calories and leave you feeling great! Sign up in the binder at the Hays Recreation Center. No sign up needed for classes at Douglass Annex. Whether you would like to learn about email, or even how to start the machine, this class is perfect for you. In Computers 101 you will have the chance to learn computer basics: how to browse the Internet, use Microsoft Word, and much more. Call the Hays Recreation Center and/or Douglass Annex to find out when classes are offered. The weather is changing and it’s time to start our trips back up. Van space is limited, so hurry and register! All trips start from Douglass Annex. Come share your great ideas with us about new programs and activities, as well as what is already offered. Bid, Call, Dealer……Come one come all to our Bridge Group. Bridge will be meeting 3 times a week at the Hays Recreation Center. Come brush up on your skills, meet new people, and socialize with others! Purchase a Bridge Group Pass to decrease the fee per day to $2 for non-members. Funds can be added to cards as needed. Join us every Thursday for a potluck lunch. The first Thursday of every month is extra special, as we celebrate birthdays for that month! Throughout the season, we also celebrate holidays and have other fun events. Please bring your own dishware. Come enjoy a delectable, unhurried lunch with friends. Pass around pictures of grandkids or share a funny story. There’s nothing like bonding over a meal! Meet us at the restaurant. The latest topics on current events, jokes, poems and more will generate the conversation at this lunch gathering. Please bring a sack lunch and we’ll provide additional munchies to enjoy. Hit the road for some adventure, culture, and fun! Meet at Hays Recreation Center. *Costs include lunch, transportation, and admission. Bring additional money for lunch tip. Join a group of friends for delicious food and lively conversation at a couple of our local restaurants. Treat yourself – you deserve it! Call 217-398-2572 the Monday before to sign up.